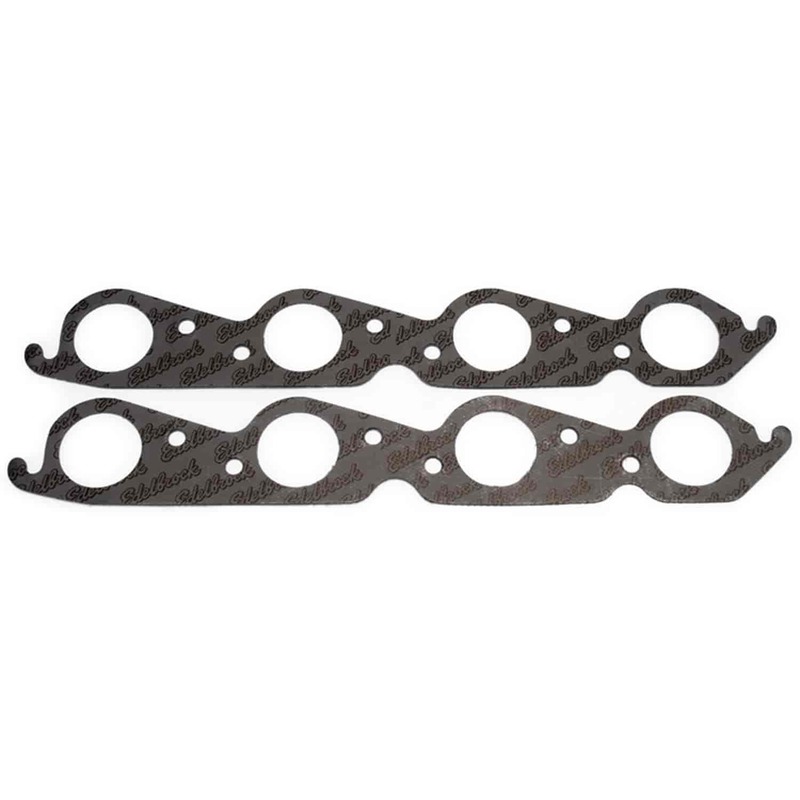 Edelbrock Exhaust Manifold/Header Gaskets are constructed of htx-900. A high density non-asbestos fiber/metal core composite material consisting of two graphite coated, heat resistant fiber blended sheets that are chemically fused to an expanded steel core. The finished product provides high heat resistance, excellent lead retention and un-matched sealing performance on exhaust manifold and headers. A 50% recovery rate allows for gasket expansion in the event your header losses proper header bolt torque. Does Edelbrock 7205 fit your vehicle?